Oh Santa baby you are so cute! I spotted this bulletin board just down the hall from my own classroom in Mrs. Selfe's first grade. 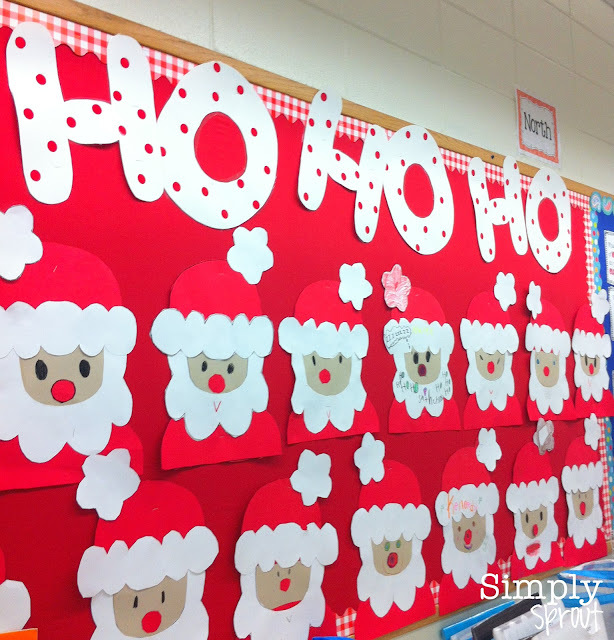 I couldn't get over the students' adorable Santa Claus cutouts. They used patterns to cut out the shapes, and each one has its own unique seasonal spirit! After completing their Santa, students can write a letter to the man with a bowl full of jelly, write a story about the his nighttime journey, or write a poem describing him. This creativity and Christmas fun brings me much joy!